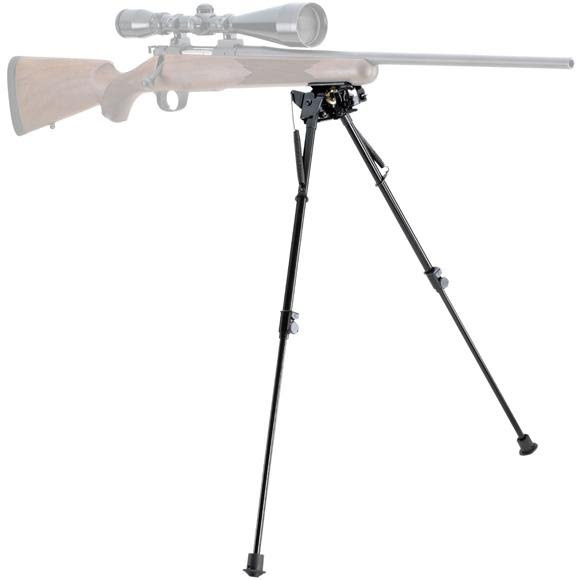 These rugged and sturdy bi-pods from Champion deliver a steady, portable and versatile shooting rest. Their classic and reliable design has helped shooters stay on target for decades, and will always be in style. Compact and lightweight Spring-return telescoping legs. Easily attach to sling swivel stud Quickly adjust to heights between 14-1/2 thru 29-1/4 inches. Steady shooting from both sitting and kneeling positions. Fold out of the way when out of use.